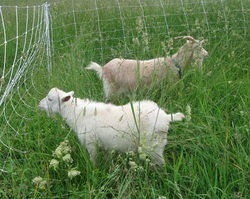 We provide fresh pasture (goats love anything with a thorn on it!) 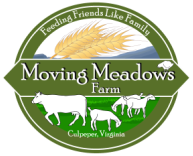 to our goats by moving their paddock 2x daily. 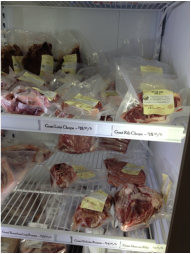 Our goat meat available at our Downtown Store in Culpeper.